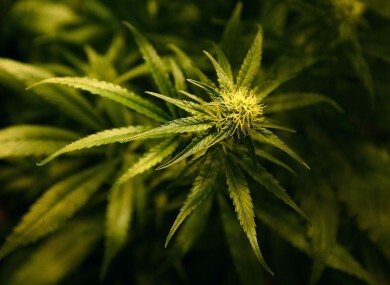 CANNABIS MAY BECOME available to certain patients shortly, according to the medicines regulator. The drug has proven medicinal effects and an imminent tweak to current legislation will make it available to those in need shortly. “This is a very important step forward,” said Health Products Regulatory Authority (formerly the Irish Medicines Board) CEO Pat O’Mahony this morning. “This has been proposed for about four years,” he told Today with Seán O’Rourke on RTÉ Radio One. “It was first brought to market in the UK four years ago. Since then, a number of other countries have moved to licence it. There are about six countries at this stage – Germany, Austria, Spain, Portugal and one or two others. This product is prescribed and dispensed for people with Multiple Sclerosis and it is very, very helpful for that cohort of patients for the muscle spasms that they suffer, which are a big complication of that condition. “Our role is in examining the scientific information presented with that product to make sure it can be safely used in Ireland. We’ve finished our assessment – some time ago,” he added. However, there are some hurdles to get through because cannabis is a controlled (illegal) substance. O’Mahony explained that the current laws were used in a High Court appeal around the selling of some items in Head Shops and that the government, subsequently, is working out changes to the drugs laws. It will be a prescription product for MS sufferers only, he confirmed. Email “Medicinal cannabis will soon be legal and available for MS patients”. Feedback on “Medicinal cannabis will soon be legal and available for MS patients”.